Manchester United legend Paddy Crerand believes David de Gea has surpassed Edwin van der Sar and Peter Schmeichel as a goalkeeper in the club’s history. The Spaniard joined Manchester United in 2011 and following a difficult first season, he came into his own and even won a league title in the 2012/13 campaign. However, the goalkeeper has played through a difficult phase in the club’s history and has been the most consistent performer for Manchester United over the last few years. His ability to make remarkable saves has won numerous points for the club in recent seasons and Crerand feels he tops the list of goalkeepers, that includes Van der Sar and Schmeichel. 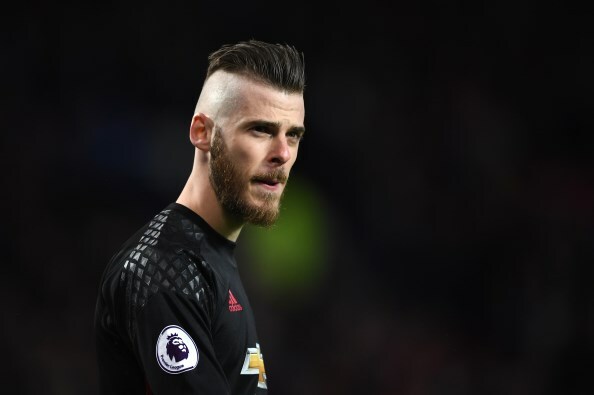 The Manchester United legend pointed out that the other two played in superior teams, but De Gea has stood out in a team that have been struggling to find consistency since Sir Alex Ferguson’s retirement. Crerand said on MUTV when comparing the Spaniard with Van der Sar and Schmeichel: “I think he is at the top of that list. “I think to be fair when you talk about the other two goalkeepers, they played in better teams. “I am not saying anything against the present day team, but we are talking about teams who won the European Cup. He continued: “Hopefully this team will get there, we want them to get there but they are not there yet. “But the goalkeeper is just incredible, he is the best for me without any argument.